The Lincoln Home site used to be several apartment buildings, but was demolished decades ago because the steep hillside made sustaining the buildings too difficult. Grow Ohio Valley’s nonprofit mission is to make Ohio Valley communities healthier by growing and providing more fresh, local food, and teaching how to grow and prepare that food. The group also hopes to boost the local economy through economic development initiatives. Swan and others have cleared and flattened enough space here in a field of mud that overlooks downtown Wheeling, and the Ohio Valley, for six high-tunnel greenhouses. Two will go up during the next month with funding provided by the Catholic congregation at Saint Joseph’s. Grow Ohio Valley hopes to begin production in the spring, as well as programs about growing and preparing food. 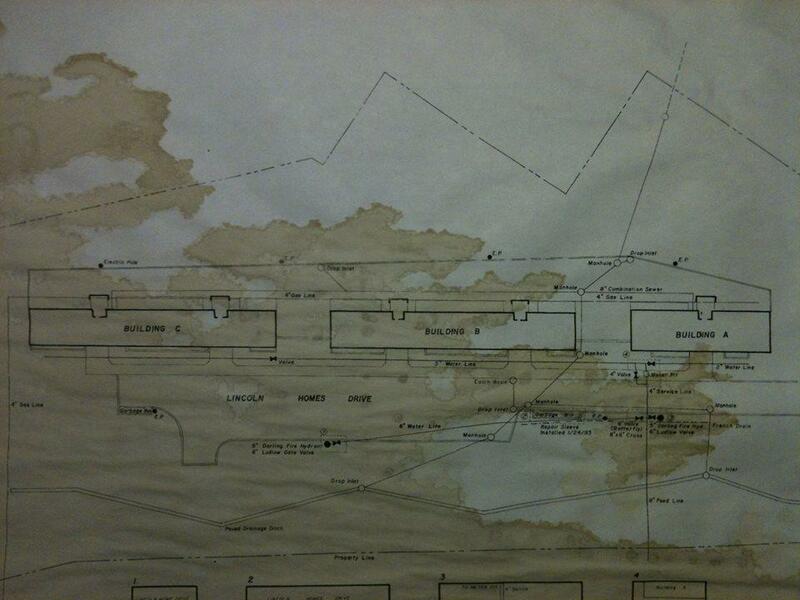 Old blueprints of the Lincoln Home site were found, but Grow Ohio Valley hasn't located any photographs of the site. On the other side of the hill excavation is also ongoing at the site of the organization’s future urban orchard. Planting was scheduled for this spring but has been delayed for a year, anticipating the impending invasion of 17-year cicadas. And atop the hill, there’s a small building that houses Grow Ohio Valley’s offices. The nonprofit won a $2,280 award this week at a community funding contest called Show of Hands that will enable them to begin to turn the space into a small grocery, Grandview Grocer. Seven bills were up for passage in the House Wednesday, including one that would give pregnant women in the state priority for substance abuse treatment. We all know West Virginia has a huge substance abuse problem; one of the worst in the nation. So lawmakers are considering measures to address it. The West Virginia Bureau for Behavioral Health and Health Facilities has announced funding opportunities for the expansion of some health services across the state.